People put their elderly loved ones in nursing homes so that they will be properly cared for – not neglected, or worse, abused. Sadly, the incidence of abuse and neglect concerning the elderly is quite common and it often goes undetected. In cases regarding neglect, the action could either be intentional or unintentional on the part of a caregiver. Intentional neglect is also known as active neglect, while passive neglect refers to the opposite. In cases of passive neglect, the most common causes include – too many cases entrusted to a caregiver or the caregiver has insufficient skills or knowledge to do her job well. How do you protect your loved ones from neglect? Start by being aware of the signs of neglect. Once you notice something amiss, report your suspicions to the nursing home management so that something will be done about it. If the management does not act upon issues raised, go to the nearest government agency that is responsible for health-related concerns. Below are also a few signs that you should also watch out for. Bed sores, also known as pressure ulcers, are injuries that often start on pressure points or bony areas of the body where blood circulation could easily be compromised. A pressure ulcer often starts at the back or on the elbows or hips, and those who are most at risk are patients who remain immobile, such as those who are comatose or those with conditions that make them unable to move on their own. The development of pressure ulcers can be avoided with regular turning. If a patient is not turned from time to time, this compromises blood flow, and without proper flow, ulcerations begin to form. It is therefore very important for an immobile elderly patient to be turned periodically to encourage blood flow. If a patient is neglected, he will develop bed sores. Bed sores can easily worsen, and these are difficult to treat. These ulcerations can get quickly infected too. Once the infection spreads, the person could die of sepsis or generalized infection. It is not surprising for old people to slip and fall since most of them have trouble walking or finding their balance. 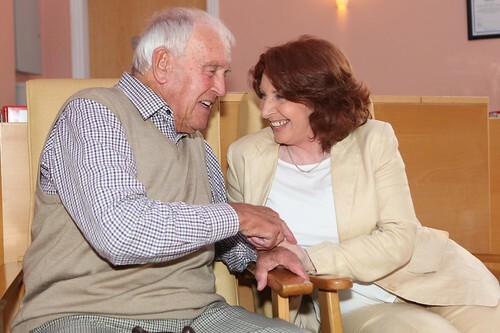 Therefore, it is but expected for a nursing home facility and its staff to supervise their patients properly and to ensure that elders have access to machines or equipment that will aid them in walking or doing their daily activities. So, if an elderly who is in a nursing home keeps on falling or slipping, something is very wrong. Either the nursing home caregivers are failing in their duty, which is to protect the patient from such accidents, or the person is being pushed, shoved or intentionally abused. For most, dehydration can be easily addressed by having a glass of water. To elderly folks, however, getting water can be quite a chore given the physical restrictions that old age brings. Hence, it’s a must for caregivers to ensure that their patients receive enough hydration. Dehydration can be lethal to older people, especially if they are on many medications. As for malnutrition, this is another obvious sign of neglect. If a patient suddenly suffers quick and extreme weight loss, then neglect is almost a sure thing. The Irish Labour Party. “Oaklodge Nursing Home,Cloyne”. May 14, 2012. Online image. Flickr. May 21, 2013. The author, Claire Waltham, is a full-time freelance writer who often blogs about accidents in residential and commercial areas, as well as in hospitals and nursing homes. Her articles have been used by http://fanninlaw.com, which specializes in personal injury. Recently a patient I visit, who has been developing dementia, told me that the staff slapped her. This could be dementia — on the other hand, a friend of mine who’d been in that nursing home for rehab after the hospital, told me a nurse had yelled at her and called her a troublemaker because she had her light on at night. The patient with dementia, herself a former nurse, also said the staff are callous. This nursing home is known for having poor care. Should I call the ombudsman?? I would call the ombudsman and see what they feel. As you know, this could be valid or could be a consequence of the patients illness. However, the ombudsman are familiar with these situations and are better suited to assess.